Chairman & Managing Director - Indofil Industries Limited. 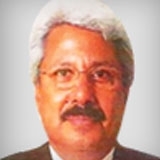 President & Managing Director - Godfrey Philips India Limited. Emerge as a growth leader by enabling the success of customers. Mr. K. K. Modi guides Indofil Industries Limited in its strategic business decisions, which elevated the Company to new heights of success. His revolutionary vision introduces a global perspective that drives Indofil to continue and increase its markets, both domestically and abroad. He has partnered with several international Companies in his various businesses, bringing a global vision and the best of International Technology to India. As the President of FICCI, Mr. Modi put his efforts to initiate Government investments in infrastructure and privatisation in various sectors. He has also contributed in restructuring and redesigning of Indian enterprises to make them globally competitive. Besides, he is actively involved in various social issues, including supporting a number of educational institutions, healthcare and hospital services, spiritual and religious centres and charitable trusts. Executive Director - Indofil Industries Limited. Promoter & Shareholder - K.K.Modi Group. Vice Chairperson and CEO - Modi Academic International Institute. Founder and Promoter - Modi Healthcare Placement. Ms. Charu Modi, daughter of Mr. K. K. Modi, is an eminent educationist, who has played an instrumental role in the field of education in India. 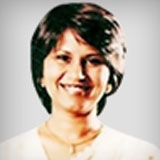 Educated at Lady Shriram College, New Delhi and Thunderbird - The American Graduate School of International Management at USA, Ms. Modi continues to pursue higher academic specialisation in her area of expertise. Her deep knowledge and interest in academics gives her the ability to envision a future, which provides easy access to finest global education to the deserving Indian students. She has already established several institutions in India in collaboration with world's leading academic bodies. Her expertise continuously introduces new avenues in her field of interest. She focuses her efforts towards achieving the Group's overall vision of becoming a global leader. Non-Executive and Non-independent Director - Indofil Industries Limited. 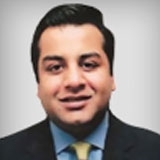 Executive Director - Godfrey Philips India Ltd.
Mr. Samir Modi, son of Mr. K. K. Modi, has been crucial in conceptualising, strategising, establishing and running new businesses of the Group. A Graduate from Hindu College, Delhi University and an alumnus of the famed Harvard Business School, USA, Mr. Modi's strength lies in his extensive leadership and management experience, coupled with excellent analytical and interpersonal skills. His new philosophy of management, innovative strategy and lateral thinking help him catalysing new groundbreaking ideas for successful profit-making ventures. He was instrumental in starting India's first Network Marketing Company - Modicare, marketing Consumer Products. He also is the brain behind India's first of-its-kind Convenience Store - Twenty Four Seven Retail Stores that are open 24 hours, 7 days a week, throughout the year. Moreover, he also actively campaigns for the cause of HIV/AIDS, and has established the Modicare Foundation to prevent the spread of AIDS, enhance awareness and dispel myths and misconceptions. 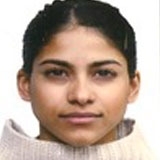 Ms. Aliya Modi, grand daughter of Mr. K. K. Modi has graduated from Brandeis University located in Waltham. Massachusetts, USA. She holds a degree in Bachelor of Arts, major, in Art History, Criticism and Conservation. Given her international qualification, experience and credentials, the Board is confident that it will help Indofil enhance its international market. She joined the Board on March 18, 2016. Non-Executive and Independent Director - Indofil Industries Limited. Mr. Sanjay Buch, is Senior Advocate & Solicitor is also a partner of M/s. Crawford Bayley & Co. practicing in Mumbai for past 25 years since the advent of New Industrial Policy and SEBI in the year 1992. He is practicing in the areas of Business & Corporate laws, Mergers and Acquisitions, Corporate laws which include Indian Company Law, SEBI Laws and Regulations including Take Over laws, Insider Trading, Limited Liability Partnerships, Foreign Exchange Management Laws, Competition Law, Property Laws Arbitration and Corporate Litigation in commercial matters and the like. For past 25 years he has been advising many Indian and Multinational Companies on a wide varieties of legal issues. He is known for his business acumen and practical approach in solving complex legal issues and resolving family and business disputes. Mr. Buch is also associated with National Stock Exchange's Steering Committee on Security Laws, Associated Chambers of Commerce and Industry, Confederation of Indian Industries, Bombay Chamber of Commerce, Indo-German Chamber of Commerce, Indo-American- Chamber, Indo-Italian Chamber, Chamber of Tax Consultants, Forum of Free Enterprises and other such prestigious institutions. 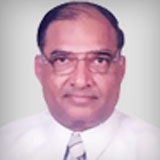 Nominee Director of UPSIDC and Independent Director - Indofil Industries Ltd.
Mr. Ranvir Prasad, I.A.S., is the Nominee Director of Uttar Pradesh State Industrial Development Corporation Limited (UPSIDC), Kanpur and a senior I.A.S. officer in the Government of Uttar Pradesh. He is B. Tech in Electrical Engineering and is a member of Indian Administrative Service (I.A.S.). He is the Managing Director of Uttar Pradesh State Industrial Development Corporation Limited, Kanpur and Commissioner and Director - Industries Department, Government of Uttar Pradesh. Mr. Ranvir Prasad joined the Board on June 29, 2017. 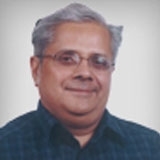 Mr. S. Lakshminarayanan has over 36 years of service in the Indian Government. He holds Master's degrees in Science in Chemistry and has a Postgraduate Diploma from University of Manchester (the U.K.) in Advanced Social and Economic Studies. Mr. Lakshminarayanan is a member of the Indian Administrative Service (retired) and has held several senior positions in the Ministry of Home Affairs, Ministry of Communications and Information Technology, Ministry of Information and Broadcasting of the Government of India and in the Department of Tourism, Culture and Public Relations, Department of Mines, Mineral Resources, Revenue and Relief and Rehabilitation of the Government of Madhya Pradesh. Chairman - Shriram Transport Finance Co. Ltd. Independent Director - Shriram Life Insurance Co. Ltd. Independent Director - Shriram Automall India Ltd. Member - Advisory Board of Hughes Communication India Ltd. Member - Advisory Board of NXP Semiconductors Pvt. Ltd. Whole time Director - Operations - Indofil Industries Limited. 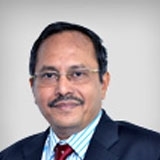 Dr. Atchutuni L. Rao, designated as Whole Time Director - Manufacturing, Operations and Safety, joined Indofil in February, 2012. 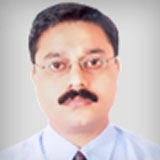 Prior to joining Indofil, he worked with Clarient Chemicals (India) Limited and Clarient International for 19 years in various positions as Technical Manager, General Manager Production, as Vice President and Head of Roha plant. Dr. Rao holds a Bachelor's degree in Chemical Technology from UDCT, Mumbai, an M. Tech Degree from IIT, Delhi and a Ph.D in Chemistry from South Gujarat University. Dr. Rao has attended Advanced Management Program at Harvard Business School, USA. He joined the Board on March 18, 2016.